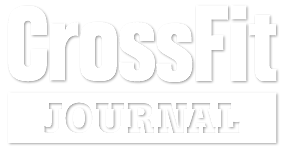 CrossFit Gold Rush delivers the CrossFit program exactly as it is intended. The stimulus provided are by design, constantly varied, using functional movements, performed at a high intensity. Our specialty is not specializing and our goal is constant progress. The community is welcoming, and is one of support and camaraderie to anyone seeking maximal health and fitness. Whether you are an ELITE athlete, actively participating in sports, playing with your kids, or simply wanting to be healthier and more mobile, we strive to provide the highest level of training that will help you achieve your goals. NEW TO CROSSFIT GOLD RUSH | INTERESTED IN CROSSFIT? Call, Email us or Click the following links to schedule your “Free Intro” session or “On Ramp” course. The “Free Intro” session to completely free of charge and is available every Saturday at 10am. This session introduces you to CrossFit/F.I.T. and gives you a chance to check out our excellent facility. Our “On Ramp” course starts every three weeks. In this course we will introduce you to the basic movements used at CrossFit Gold Rush. It is our “beginner” course and is highly recommended for anyone new to CrossFit/F.I.T. 2. Show up 15 minutes before class starts to sign in. 3. Wear anything you’re comfortable sweating in! 4. Bring a water bottle and we’ll provide the cool, filtered water. Complete the “On Ramp” course and receive 2 weeks of Unlimited Attendance. Sign up and become part of our community working towards your fitness goals while having fun getting FIT! Call, Email, or Click the following links to schedule your “Free Intro” session or “On Ramp” course. The “Free Intro” session is completely free of charge and is available every Saturday at 10am. The session introduces you to CrossFit/F.I.T. and gives you a chance to check out our excellent facility. Our “On Ramp” course starts every three weeks. In this course, we will introduce you to the basic movements used at CrossFit Gold Rush. It is our “beginner” course and is highly recommended for anyone new to CrossFit/F.I.T. 1. Call, Email us or Sign Up for CrossFit or F.I.T. 4. Bring a water bootle and we’ll provide the cool, filtered water. Talk to a coach about signing up and experiencing the difference at CrossFit Gold Rush. Become part of our community working toward your fitness goals while having fun. Getting started at CrossFit Gold Rush in Grass Valley near Nevada City, Alta Sierra, Penn Valley, Chicago Park and Cedar Ridge is easy. We are the fitness facility of choice for those who want to lose weight, get in shape, and have fun in the process. “How do I sign up for CrossFit?” “How do I get started?” Simply come by, call, or email us. We make it easy for anyone from beginner to professional athlete to join our classes. From the moment you walk in, you will notice our dedication to your goals. 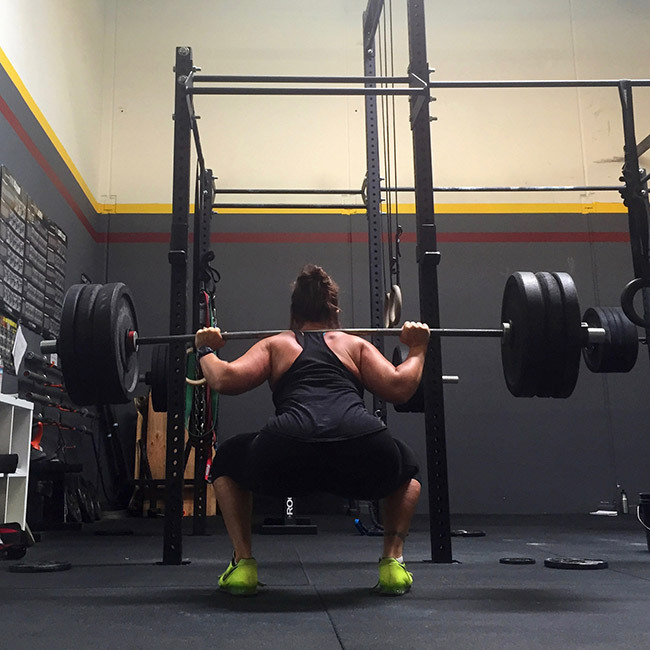 When you want to get started with CrossFit in Grass Valley, you need experienced coaches. 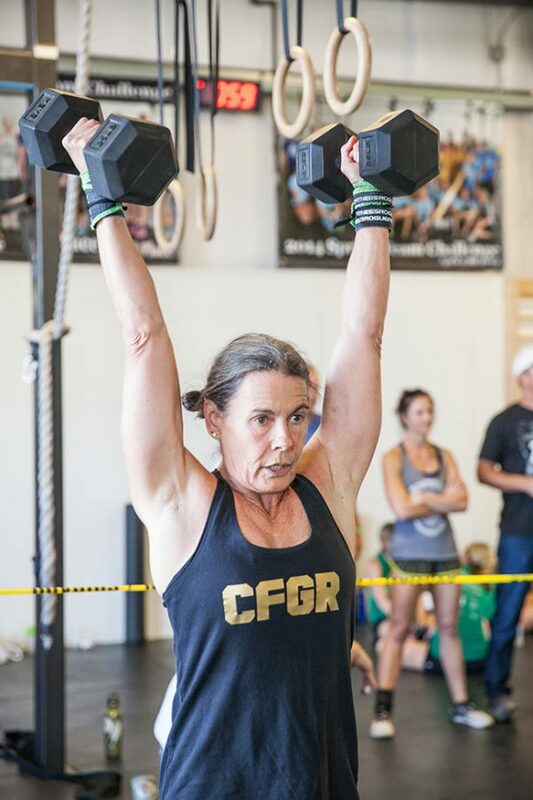 Our experienced coaches at CrossFit Gold Rush near Nevada City and Penn Valley, CA are the perfect fit for someone new to CrossFit, new to Boot Camp, or new to working out. These coaches will help you find the class that is just right for you. 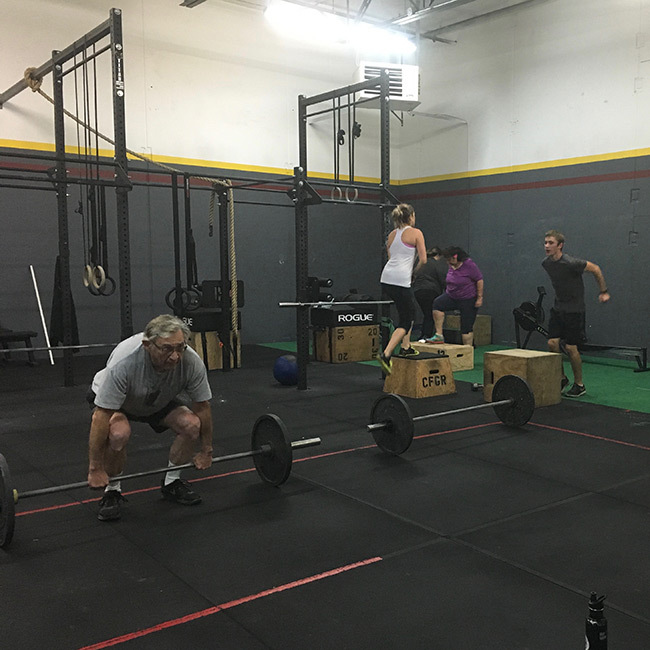 To get started at our CrossFit Gym near Alta Sierra,Chicago Park, and Cedar Ridge you need a great beginner’s class focused on people who are new to CrossFit, trying to lose weight, and want to get in shape. This class, called “On Ramp” is the perfect way to get started. When you start CrossFit at CrossFit Gold Rush, you get the benefit of starting without contracts. We alway have a month to month CrossFit membership option. Get started with CrossFit Workouts in Nevada City, Alta Sierra at our CrossFit facility. We are located off Whispering Pines Lane near the cooperate offices in the Whispering Pines Business Park. We even give you 1 free class to come check us out. Come get FIT with us!